Whether it’s a shower after a workout or a quick dip in the pool, it’s nice to cool down when you’re hot, especially to your favorite audio content. 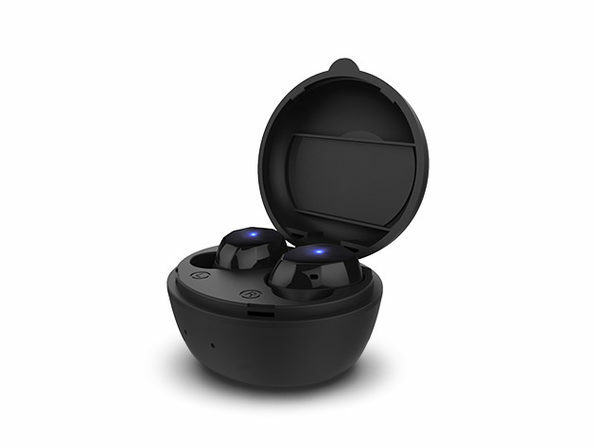 With a pair of Waterproof Earbuds, you can get wet without missing a moment of your music, podcasts, and more. These earbuds deliver excellent audio while fighting off harmful elements. For starters, you’ll enjoy crisp, wireless listening thanks to the pair’s Bluetooth 5.0 tech and 6mm drivers. Designed with an ergonomic fit, they’re also comfortable to wear for extended sessions, giving you a comfy connection while you’re workout out, commuting, or doing anything else. Plus, the pair is IP67 waterproof and dustproof, empowering you to conquer the elements — or your daily shower — with music, podcasts, and videos pushing you along the way. On top of all that, these earbuds — which come with a charging cable — give you convenient talking features, too. It’s simple to pair these earbuds with your smartphone, so you can use their built-in microphone to make hands-free calls and continue doing what drives you. Even better, they have a touch sensor that gives you in-line controls, making it a breeze to adjust volume, mute audio, skip tracks, and more straight from the earbuds themselves. Get a pair for 65% off at $64.99 in The Daily Caller Shop.